The football versus soccer fight rages on for years now and has sparked quite some controversy. Let’s start by saying that I will call football, as it is known around the world, soccer. What is often classified as American Football for this essay will be called football. Some of the controversies that have been sparked between the two are ones such as; “why is it called football when its only one player on the team is allowed to use his feet and is only done on small occasions?”, “which is more physical?” and issues as simple as which of the two requires more endurance. Most people may look at it one way when there is also another way to view these two legendary sports as I call them. As there may be differences between the two, there are also similarities. There are a lot of debates that goes on regards with football and soccer. Some consider that soccer is another name of football while others may argue that soccer is entirely different from football. In this paper a compare and contrast the two famous games, football and soccer will set us on a clearer path. Football can be considered as the name for all the other sport where the players have to play with foot and ball in order to score. There are a number of football sports such as association football, gridiron football, and rugby football. Soccer is a commonly used name of association football. According to http://www.helium.com, the sport that was to become soccer was born in 1848, which is when the first formal set of rules was drawn up. These rules were what gave it the name “Association Football.” A breakaway group then created a separate sport where players were allowed to use their hands during play and this would become known as rugby. In turn, rugby would then cross the Atlantic and seed the growth of the sport Gridiron or in this case, become American Football. The most controversial issue that a soccer fan will differentiate between soccer and American football is that soccer is played mainly by kicking the ball and it is only allowed to the goalkeeper to use his hands or if the ball goes out of bounds and requires what is called a throw in. American football in contrast, is played by throwing the ball and is only kicked when a field goal is required or in their terms a return punts. In soccer, kicking the ball to the other team is rarely or better yet, done on purpose. This is only done deliberately on fair play calls; these are events which happen in the process of whichever team has the ball while another player is forced to be looked at by medical officials during time of play. The ball is then played to the opposing team that was on offense. On the other hand, in football, that player is removed and the game is continued in whatever direction it was going before. There are many similarities among soccer and football such as the concept of two goals on the opposite sides of the field where the players have to kick the ball and score. The main idea of the game is either to defend or offense the ball with the help of team. The number of players in the team on the field for both games is eleven. Both teams are also allowed to have up to twenty two players on their rosters. The difference between the games is due to the different rules that are applied. As we go on there are many more differences and similarities between the two sports. First and foremost the players in football must be equipped with helmets, shoulder pads, girdle pads. While in soccer, the players only wear shin pads, and cleats. Another big difference between both the games is that the ball which is used to play in both sports is different from each other. 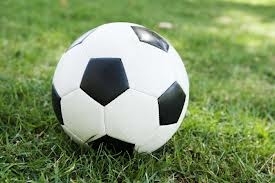 The shape of the ball in football is oval while the ball that is used in soccer is a much more spherical in shape. Obviously in both sports in order for a team to win, one has to gain more points than the other. In soccer, a goal is scored to gain points while in football a touch down is needed to gain points. Though this is so, there is also a similarity where a field goal is needed for extra points in football whereas the field goal kicker is allowed to kick the ball between the goals. A goal is scored in soccer by putting the ball into a net that is made up of two posts and a crossbar and each goal is one point. While in football, a touch down is six points and a field goal is three points. A touch down is scored in American football by touching the ball down over a touch line. The touchdown in American football can be scored by a pass or a run, while in soccer you may only use your head or your foot to score a goal. The field of play is a bit different in size matters. A football field is 120 yards long, including two 10 yard deep end zones on both end and 30 yards wide. A soccer field can range from 100 yards to 130 yards long and 50 to 100 yards wide. Another important factor of the two is the time frames. Soccer is played over 90 minutes and is split into two 45 minutes halves. While in football, the game goes on over just 60 minutes that are split into four quarters. Time outs are allowed in football but not in soccer. This also goes to show that more physical activity takes place during a soccer game, rather than on the football field. Soccer matches can end in a draw/tie. However, in some competitions, 30 minutes of extra time is played to try to determine a winner and a penalty shoot may result if teams still can’t be separated. Football games are decided by 15 minutes overtime if they are tied after normal time. Soccer matches are usually played on natural grass pitches although in America, they are occasionally played on artificial pitches. In contrast, football games tend to be played on artificial pitches, like turf. According to http://www.helium.com, there is also a big difference in terms of international popularity and distribution. Soccer is the dominant team sport across South America, Africa, Europe, and large parts of Asia. On the other hand, Football is dominant in North America. Another one of the reasons why soccer is more popular in world terms is that it is competitively at an international level. There is also numerous leagues through out the whole world with the most popular being The Barclays premier league. Although there are many tournaments through out the world only one takes the top spot. The World Cup Tournament, which takes place every four years between all countries who qualify. You take the best soccer players from your country, and recruit them to play for the country’s team. The World Cup has also been called the biggest sporting event in the world. Football has its Super Bowl but it’s a contradiction as it just involves North American club teams only. The super bowl is played between the top team in each conference in the NFL and, is the most watched single show in America. Soccer is also more prevalent across the globe because not much equipment is needed to play it. As long as you have a ball, goals can be made from anything as far garbage bins, rocks and backpacks from my experiences to start a game. Football is more physical and therefore protective equipment is required which makes it less suited for young children and less accessible to people in poorer countries. The game of soccer is predominantly a sport that is dominated at professional level by men. However, female professional leagues have started to appear. As far as my opinion goes and as far as I’m aware, football has not obtained the same level of participation from women. There are two players that dominate each sport and, now we will discuss who has impacted the sport. In football you have Peyton Manning of the Denver Broncos, who currently dominating the NFL with nineteen touchdown in 4 games. Peyton is on root to breaking every single record set by quarterbacks. In addition to be outstanding on the field he has led the broncos to an astonishing five and zero record. Peyton has also increased broncos tickets by fiftteen percent, the most any one football player has affected ticket sales in the history of the NFL. On the other hand you have the so called “God” of modern soccer Lionel Messi. Lionel Messi is currently third on the all time goals list in the world, and according to 247sports.com he has 7 more years left in his before he really starts to decline. He is expected to take the reign of all time leading goal scorer by fifty-four goals. When Messi was traded to Chelsea in the Barclays Premier League prices increased for the first game an astonishing thirty-two percent. For the regular season tickets prices have went up eighteen percent. Messi has also lead Chelsea to two Premier league championships in the three years which is outstanding considering Peyton is still seeking his first Super Bowl in Denver. Overall Messi definitely takes the crown for athlete that has impacted their sport the most. In conclusion there may be many be many things different about the two sports, but the fans are very similar in their love of the sport. They have their teams they cheer for and teams they love to hate. In a nut shell we can conclude that both the games are based upon the use of foot and ball but different in terms of application of rules. The difference and similarities will become broader with the increasing trend of the two “Titan” sports.